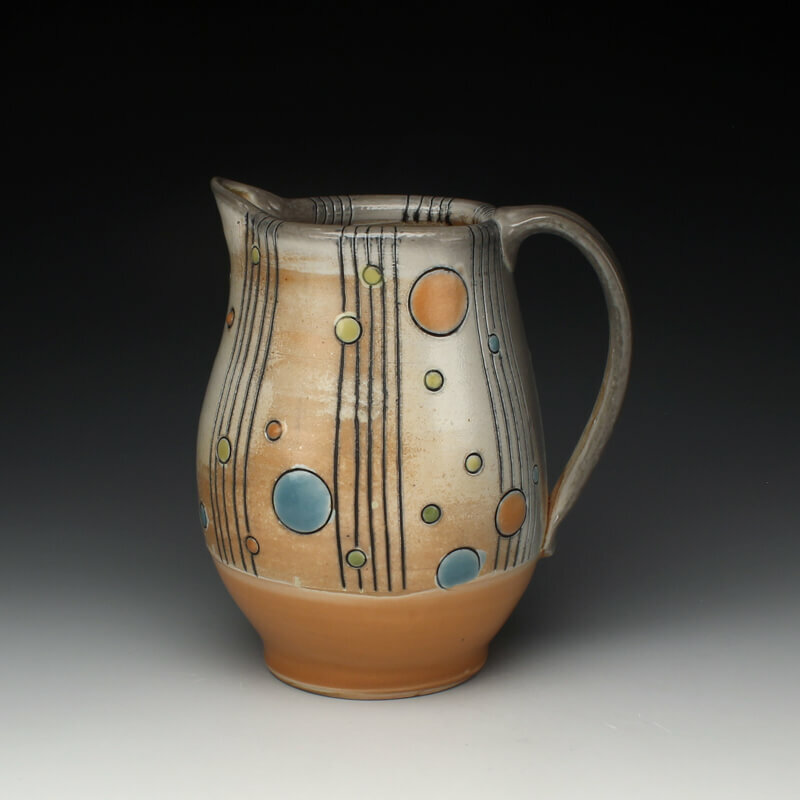 Kate Fisher received a BA in Art History and a BA in Studio Art from St. Olaf College. She completed her MFA at the University of North Texas. Prior to her arrival in Minnesota in 2008, Fisher worked for Lawrence University and Anderson Ranch Arts Center. Her work has been exhibited locally, nationally and internationally. Fisher has traveled to China, Europe and South America to enrich her artistic studies. Kate is currently the Studio Art Technician and a Visiting Assistant Professor for the Department of Art and Art History at St. Olaf College. She is also the faculty/staff advisor for the Ron Gallas Cup Library, an educational cup-lending program for the St. Olaf College community. Along with her studio practice, Fisher is deeply invested in a project examining how women have gracefully tackled the lively experiment that is being both artist and mother. Examining how these dual roles simultaneously impact each other both practically and conceptually. Over the past few years she has been surveying, interviewing and documenting a cross section of ceramic artists who are also mothers. In an effort to examine how children, or the circumstances of their lives as they include them, change and impact the work that these artists choose to make and/or how they make it. Her questions have covered studio practice, time management, life balance, home, relationships, childcare, aesthetics, and who they view as an artist/mother role model. I think of my work as domestic art: it is either for or about the home. My artistic beginnings are deeply rooted in a potpourri of functional traditions. I continue to contemplate, respect and honor utility even when developing contemplative or sculptural forms. I am drawn to the domestic environment through personal artifacts, repetitious rituals, and intimate relationships. Home, whether structure or geographic location, can be or evoke specific feelings and memories. I enjoy embracing and expressing both the permanent and the ephemeral qualities of what we think of as home in life. The act of living and creating artwork that stems from these notions dissolves the boundaries between my home and studio. It fuses the home with the studio and creates an all-encompassing life aesthetic. My most recent body of work is a visual analysis of my present domestic landscape. The objects in this series reference the haphazard child detritus, toys, and paraphernalia I now find as commonplace in my home…and on the floor.